While B monster movies may not be considered “high-class” cinema, there’s no point in denying that they are well loved. Since Steven Spielberg ignited the golden age of shark movies in 1975, viewers have been hooked on bloody underwater attacks and heroic life raft escapes. As a tribute to the six Sharknado films produced by Asylum Entertainment, Sharknado Week will be kick-started with Asylum’s latest: Megalodon. This is not only a cinematic reward for scary shark movie enthusiasts, but also for the film’s star, Dominic Pace. An Ossining native, and coincidentally born the same year that Jaws released in theaters, Pace’s acting career has been most noted by his recurring roles on NBC’s hit comedy, Superstore, ABC’s Jimmy Kimmel live and his appearances on countless television crime shows over the past 20 years. But now, Pace is reaping what he’s sewn, being rewarded with his first Top Billed Role in Megalodon. Director James Thomas’ thriller will put Pace, playing U.S. Navy Captain Jack Streeper, against the Russian Navy, while also dealing with a 150-foot shark, of course. Pace says that this film is not as “campy” as Sharknado, and that as much fun as it would be to “wield a chainsaw machine gun,” he was grateful Thomas made this film a little more grounded. 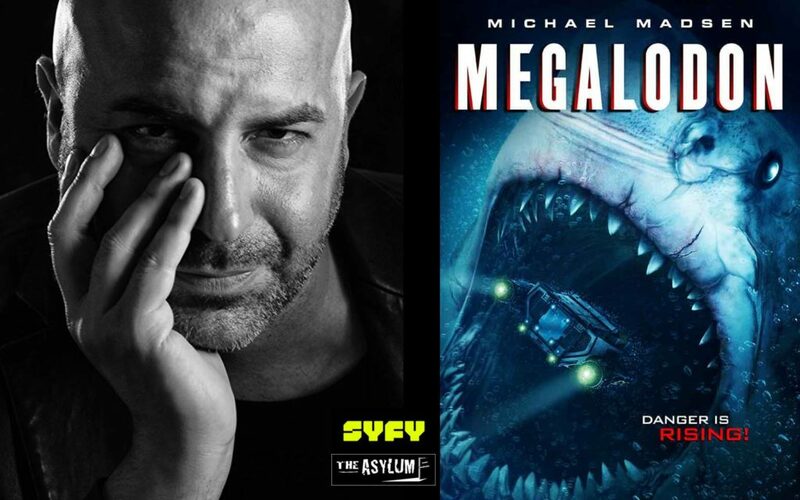 Megalodon will air Monday, August 13 on SyFy at 8 p.m., PST. Featured Guest: Judy Goodman, CPC, CSRC, CRC, Speaker, Professional Coach and Award-Winning Author of Journey… The Quest of the Soul, Shares Her Global Work.